The perfect way to start your day. 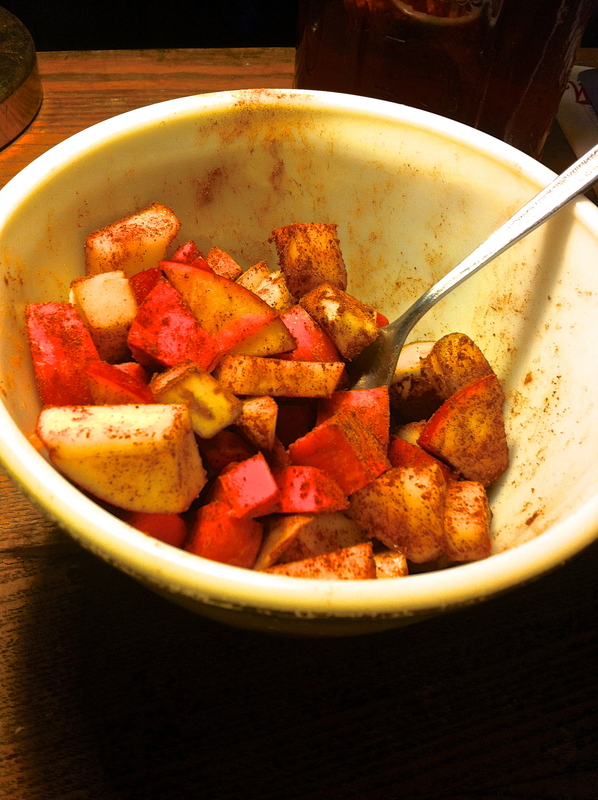 APPLES, PEARS, CARROTS, tossed in Cinnamon! Whats that you say? 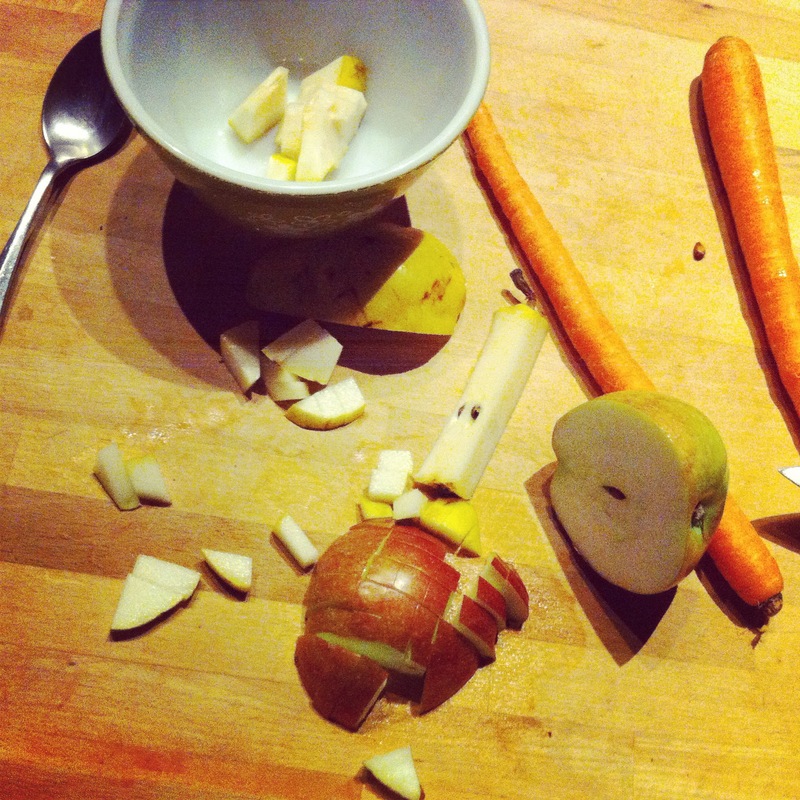 You don't think carrot and fruit go together, that this couldn't possible taste right… Well guess what, you are wrong. Yes, it may seem like a strange combination, but trust me, it works and it works so so good. This is what I eat almost every day for breakfast. And man oh man, with a cup of hot coffee and a good book, I welcome 5am. Note that this can be eaten throughout the day. Its even a fantastic night time snack! To compile this bowl of yum, all you have to do is chop up an apple, a pear, and a carrot and toss in a bowl with cinnamon to taste. I use Vietnamese cinnamon which has a spicier flavor to it, but plan old cinnamon works too. You could even try adding a pinch of ginger or nutmeg. Heck, drizzle a bit of honey if your feeling it. I also suggest using your favorite bowl, fork, and if your drinking something, your favorite mug. When your dishes and utensils are right, it just makes your food that much better. Monday Monday!!!! Try to enjoy it!